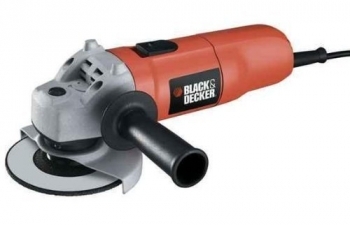 The Black & Decker Angle Grinder KG901K has a 900W motor which provides an ideal balance between power, weight and size. 115mm disc size is useful when working in confined spaces. 3 position side handle for additional control and safety. Lock on switch assists with comfort and control. The KG901k comes with a secondary handle and kitbox.